I don't mean to take anything away from the game's multiplayer features, which allow other players to anonymously drop in and out of your game to spend some time by your side. 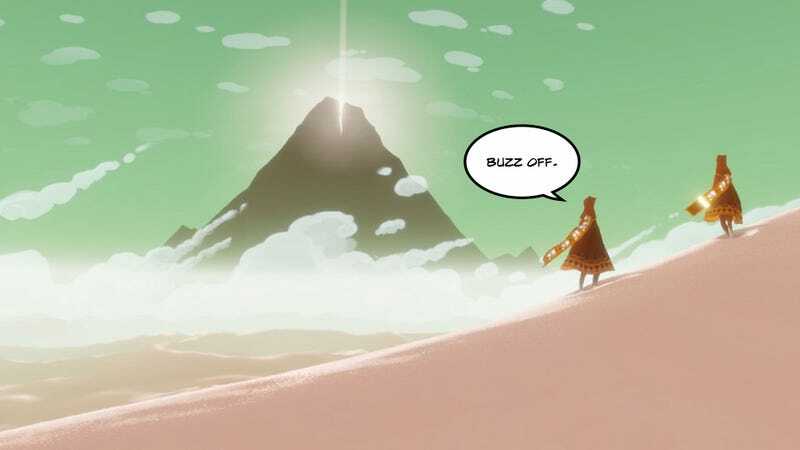 It's a lovely thing, and one of the smartest and most distinctive things about Journey. But the first two times I played the game, it was essentially solo—I was playing ahead of release, for review, so there weren't too many people online. It was just me, and the mountain. And it was amazing.